Every child is a creative genius. They are born this way. They are smart, creative and fearless. They are bursting with magic and imagination. You just need to throw out all the boxes you prepared to fit their minds in. 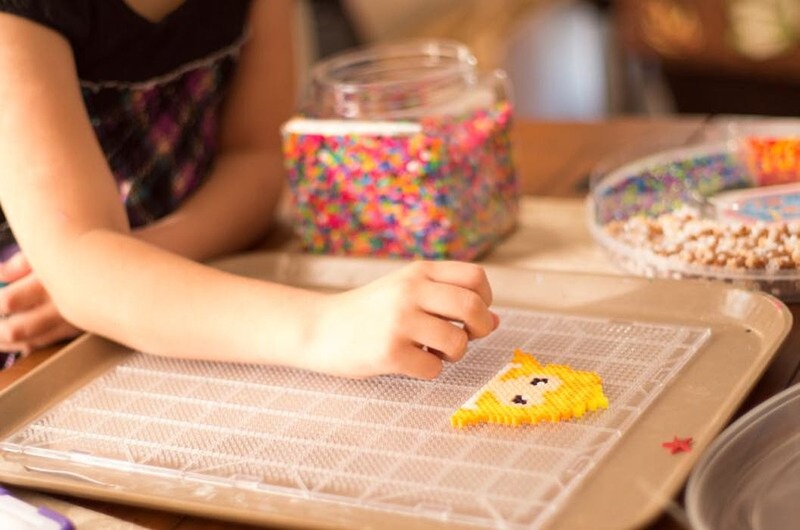 Creative activities help build confidence and self -esteem and even help kids feel like they have more control over the world. As per studies children follow what their parents do. If parents are highly creative than the chances of the child being creative will be higher. How will you do this? When you are with your child make sure that you come up with lots of different ideas to use an object. For instance you could use a blanket not just as a blanket, but wear it like a dress, make a tent, play peek a boo etc. So if you want your child to be creative, it’s a good idea to make the effort to be creative yourself. Give them the tools early on and teach them that sources aren’t always reliable. For instance Wikipedia isn’t a perfect tool, but it’s a good starting point. Make sure they, and you, know how to find answers based on facts and research. Be skeptical and teach them to be as well. Make a habit of asking questions from your children. Encourage your children to use their brains in order to get the answers they seek, themselves, with your guidance. You can always ask – what do you think? Even if the question is hard and they have no way of figuring it out by themselves, this question encourages them to use their imagination and dare to explore and wonder. You should praise his imagination and encourage your child’s creativity, instead of teaching him to wait for the answers in his life and speak only if he has the correct answer. Give your child the freedom to make his own artistic decisions. Express confidence in your child’s creativity. Let them play with the objects the way they want to. Let them get messy. “YOU CAN’T JUST GIVE SOMEONE A CREATIVITY INJECTION. Related blog : Is Child’s Safety Your Biggest Concern?